It is not uncommon for developers to have the following concerns and thoughts when considering whether to localize their apps: “I just don’t have the time!” “Translation is too expensive.” “High-quality translation is just hard to find.” Does this sound familiar? At Google, we consider translation a key component of making the world’s information universally accessible and useful. 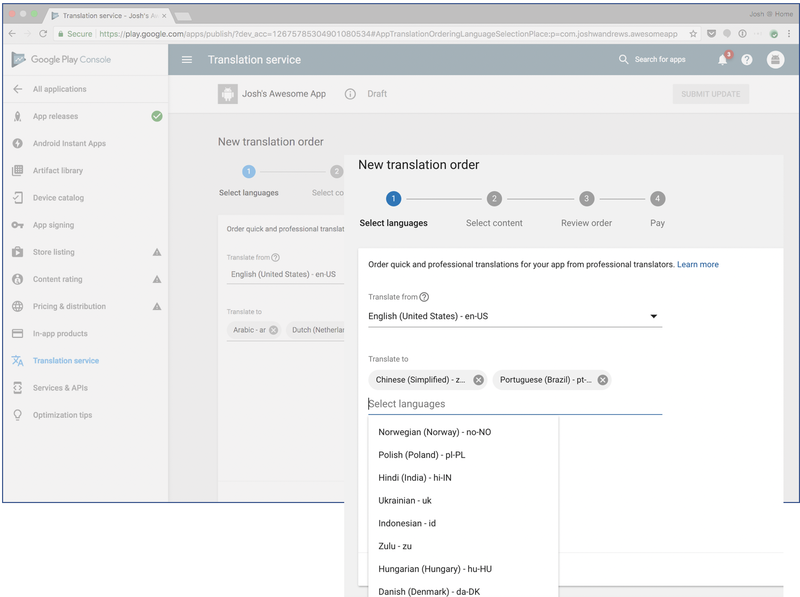 This commitment extends not only to localizing our own products, but also to providing tools to help developers and translators more easily localize their apps. 1. 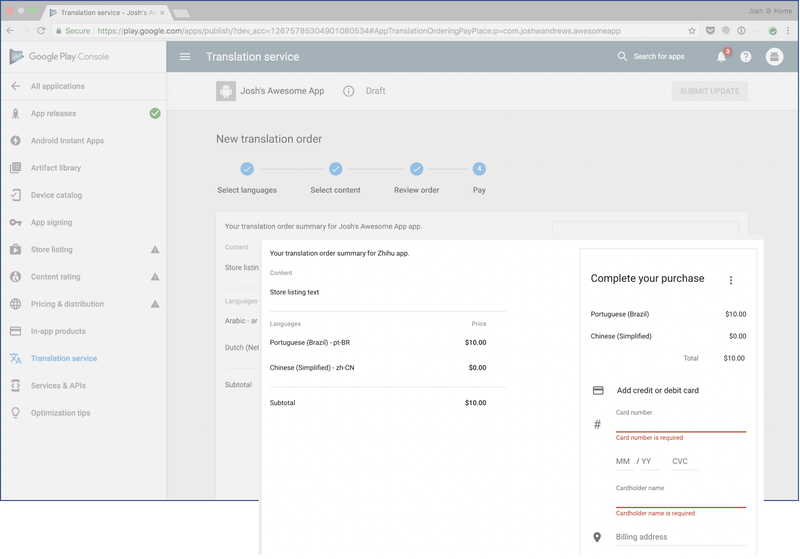 Quick and easy – Order in minutes and receive your translation in as little as two days. 2. Professional and human – Get high-quality translations by real human translators. 3. Value for money – Translate your app for as little as $0.07 per word. 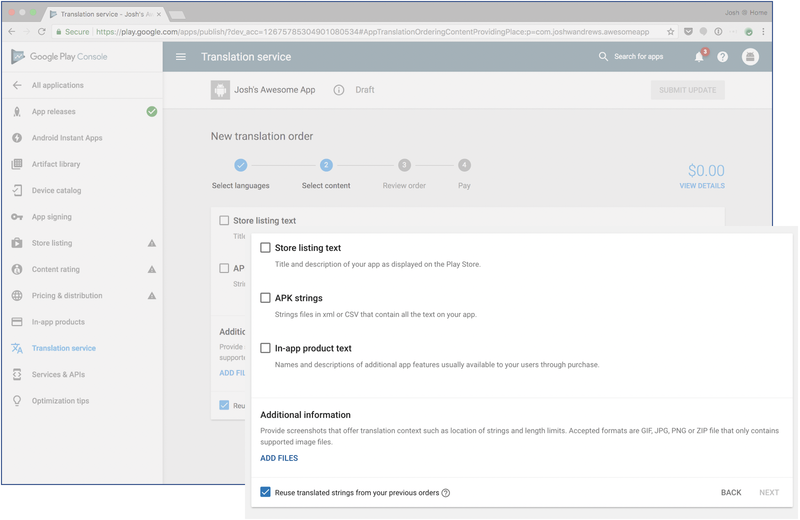 When you’re ready to translate, just select the languages to use for translation, choose a vendor, and place your order. 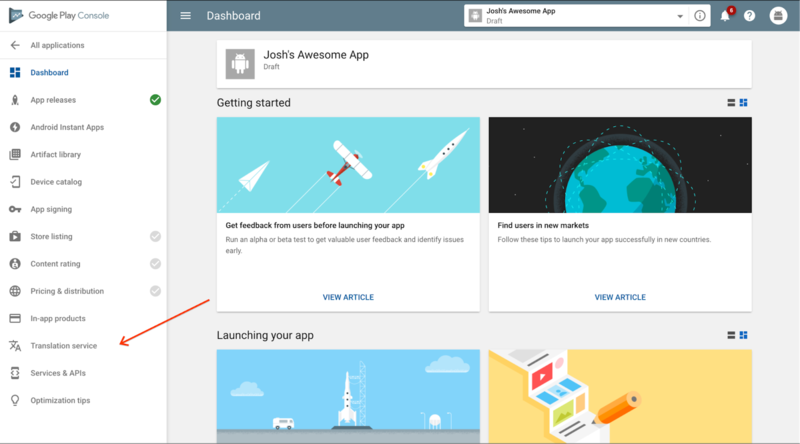 The language recommendation feature is developed using machine learning and is based on your app’s install history and market data. 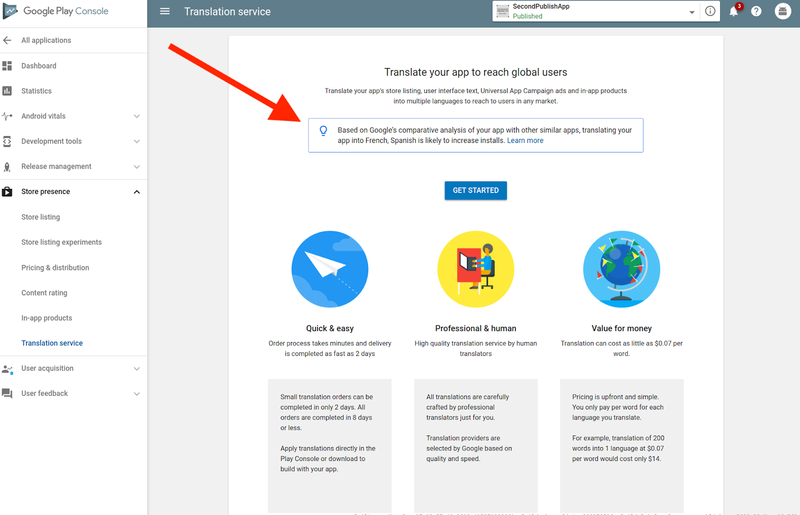 Once you download the translation, you’ll be ready to publish your newly translated app update on Google Play.